Grab your flashlight and hiking boots! 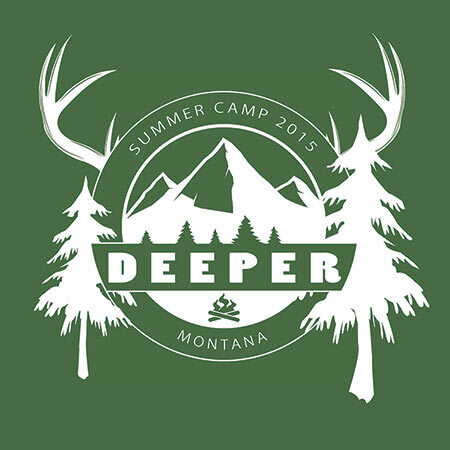 This August 18-21 we are heading out for our DEEPER SUMMER CAMP. We have rented a ranger camp in the mountains of Northwest Montana, about an hour and half from Kalispell. If you are ready to get closer to God—and have a blast doing it—you won’t want to miss this! We’re going to hike, jump in the lake, cook campfire food (including epic s’mores), worship, pray, and dig into the Bible. You will never forget this camp and how the Holy Spirit changes your life! Space is very limited at this amazing ranger camp, so you must register to save your spot! The registration will cover the cost of our stay at the camp, fun activities, and food. Early-bird-gets-the-worm rate: If you register by August 9th, the cost is just $75. Slow-as-a-sloth rate: If you register after August 9th, the cost is $100. Along with your registration money, you MUST have your parent/guardian sign a release form. Without this form, you cannot attend our camp. Pick one up at Deeper, The River, or download it here. This camp is for ages 12-18. Exceptions may be made to the age limit, but this is entirely at the discretion of our leadership team and our assessment of the youth’s maturity level and ability to benefit from the camp. Can I bring my couch? No, you must leave your couch at home. Will there be a McDonald’s nearby? Yes. If you walk, it will only take about two weeks to get there. Can I go fishing? If you have a license, there are great opportunities to fish at camp. What if I don’t like s’mores? You can move to Canada. Can I invite friends? Yes! Just remember that our space is limited and they must register to save a spot. Can I bring a gun? What do you think this is? Montana? But seriously, you cannot bring a gun to this camp.